The Graco SlimFit 3-in-1 Car Seat saves space in your back seat, while giving your child plenty of room to grow! 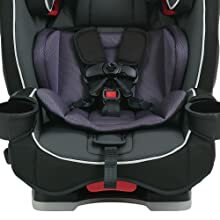 Its unique, slimming features make it ideal for smaller cars. 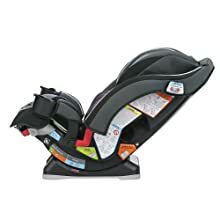 This 3-in-1 car seat grows with your child, transforming from a rear-facing infant seat to a belt-positioning booster seat for your big kid. 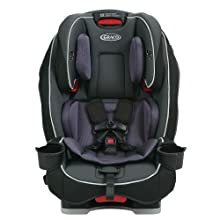 Adjustable features accommodate your growing child with ease, making every adventure even more comfy. 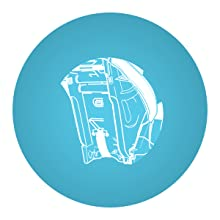 The seat is side-impact tested, and SafeSeat Engineered, giving you peace of mind. A sleek design with rotating dual integrated cup holders, makes the seat slimmer to save valuable storage space. 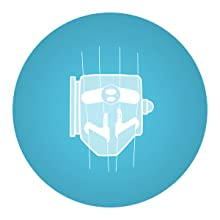 Simply Safe Adjust Harness System adjusts the height of your harness and headrest in one motion, to ensure a proper fit. 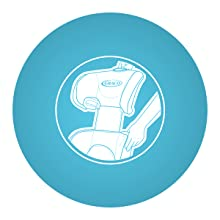 In rear- and forward-facing modes, the 4-position recline helps keep your growing child comfy. The exclusive Graco InRight Latch attachment provides an easy, one-second attachment with an audio click cue to help ensure a secure installation. Don’t stress the mess. 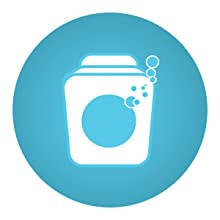 The machine washable seat cover is easy to remove without uninstalling the harness. Steel-reinforced frame provides strength and durability for years of dependable usage. 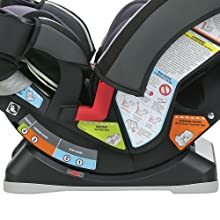 While in the belt-positioning booster mode, an integrated harness storage compartment holds the harness straps. Removable plush support keeps your child comfortable during any road trip.